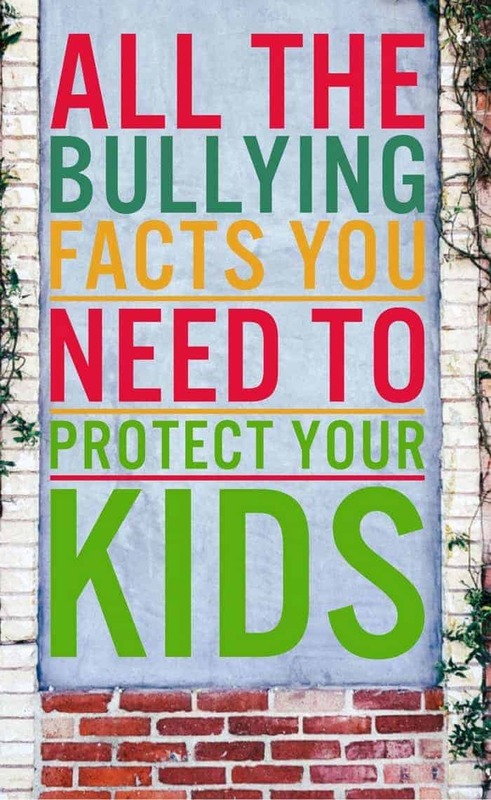 As parents we are passionate about helping our children understand the facts about bullying so they can prevent and fight against the growing epidemic in our world today. Bullying has become a problem across the world, but in our own neck of the woods we see the statistics in the United States, Britain and Canada growing daily. We are poised to fight against bullying with our children, schools and communities now more than ever before. As you learn more about the long term affect bullying has on individuals, how physical and verbal bullying can linger for years to come and how even our youngest children can be bullied in their preschools your heart will break for this cause. We have spoken out publicly against the act of bullying for years, and we know that you will join us in the fight against this crime against our children. Bullying not only affects our children. Bullying happens in the workplace, in peer groups and even in churches. Sadly, childhood bullies have become adult bullies that very few fight against. To stand up for this crime against individuals, you must believe that it exists. Join us in the fight against bullying by creating community accountability groups, working alongside your local school board and educating your children about these facts about bullying and the long term issues that develop because of bullying. Learn how to stop bullying in your children’s schools as well as in your community. Take the time to teach your children bullying facts kids can understand. Start from the beginning with the history of bullying, and share with them how and why people become bullies. Make sure they understand that making fun of those with special needs, different sexual orientation or different appearance is bullying. Help our children to realize that they are accountable for their actions. Not only can you lead them in the right direction to stand up or themselves and fight against bullying in their school, you can lead them in a family stand against bullying. Monitor their online activities and work against the instances of cyber bullying. Teach your children compassion, forgiveness and mostly self confidence. To become better people, they must also have confidence in themselves. We frequently share with you excellent tools to fight the epidemic of bullying in our communities. As parents, it is our wish that you too will join us to fight this crime that has destroyed lives and even become fatal for those who have become victims of the hate crimes related to bullying. Are there any particular facts about bullying that you’d like us to explore? Tell us in the comments! Bullying is becoming an epidemic. We have to give our kids the tools they need to withstand bullying. The biggest thing I’ve seen with bullying is that it happens at schools. I’ve seen teachers still let it happen even if the school doesn’t have a tolerance for it. It’s important to report the teacher and bully as both are at fault. Bullying is something that weighs so heavily on me. I worry about my kids being bullied or being bullies. We, of course, do everything we can to prevent both. I have talked to my kids about bullying. I told them if someone is bullying them to let me know or an adult at school. There is no need for kids to continue to be picked on. I agree, bullying exst almost everywhere, even in the workplace. As a Mom, I worry about these stuff, although it hasn’t happend yet (and fingers crossed that it won’t happen). Thanks for this info. It saddens me whenever I hear about an incident of bullying. I have a 12-year-old son and it worries me too that somebody might bully him. I can only hope and pray that no one will bully him. The best way to deal with a bully is to speak up. No one who is standing by should be simply watching – as soon as someone speaks up, the bully will stop. Bullying is out of control. I had to take all 4 of my school aged kids out because for years the school board did nothing. Police do nothing, parents do nothing. We are hoping to send the kids to a different board next year so they can continue to learn and meet/make friends. It’s so nuts how bad its gotten and the steps some must do to protect their kids. Bullying truly gets my blood boiling! I still cannot understand why there is so much hatred, hurt, and ignorance among the human race. We talk about bullying and how to stand up for anyone being bullied all the time. My kids know how terrible it is and their school is very good about standing up against bullying. I agree with all this, you have to be a big part of you child’s life and know they can trust you to talk about bullying if it happening to them. It’s really sad. I’ve definitely seen bullying in various environments outside of the school environment. It’s sad to see it happening in workplaces too. If there were stricter rules about bullying, I do believe it wouldn’t be such an epidemic. I hate bullying in any form. Having said that, I firmly believe that all parents should instill in their children how wrong bullying is. Bullying is just to easy for kids to do these days, and there just isn’t enough repercussions for it! Makes me so mad! It’s so hard to balance between protecting your kids and teaching them the skills they need to cope with a world filled with bullies. We try to teach our kids to be strong and believe in themselves, as well as stick up for others who might not be as strong. I hate how much bullying has become so much more prevalent because of the internet. Kids think that they are anonymous and can say whatever they want. It is so sad. Bullying is such a terrible thing. I’ve tried to teach my kids to stand up for those who need it whenever they can. I would like to know how to protect a child who is being bullying but the school looks the other way because both children are special needs. Bullying does not have enough consequences when being caught to prevent people from stopping it. I dislike bullies. I have family member who is a bully, I no longer associate with that family member. My kids are grown, but now I have Grandkids to worry about. There is always a bully out there waiting. Heck, even animals can be bullies. I really do worry about bullying. It is sad how much of it there is.